Maxime Picat: "We improved our sales mix by helping our customers opt for upper-end variants of our products." How have you raised net pricing? We improved our sales mix by helping our customers opt for upper-end variants of our products. We started this with the 2008 and 308 and it is something that we are managing very well this year, too. The newly launched 308 GT is even better than the basic 308 variant in terms of pricing power and it now accounts for 20 percent of 308 orders. Can you close the 308’s specification-adjusted net transaction price with the VW Golf in just one year? A year is possible, but I must admit that the gap between the 308 and Golf is not small. It’s easier for us to close the 208’s gap [with the VW Polo]. Also, this really depends on the behavior of VW. For us they are champions in terms of pricing power and price management, but we were surprised to see that they are so aggressive in some markets. The pricing gap in Europe between Peugeot and VW was narrowed to 5.3 percent last year from 6.5 percent in 2013. How close is Peugeot’s nearest competitor in Europe? The difference in pricing with our closest competitor is at least 10 points. The gaps in Europe are amazing. It’s more and more difficult to read the real meaning of market share because people are really pushing the metal, trying to make volumes, and in the end, many competitors end up with hundreds of millions in losses in their European sales. 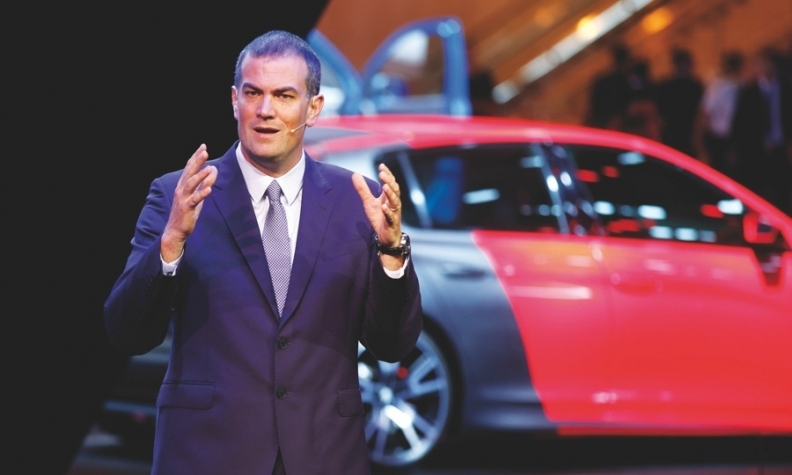 MAIN CHALLENGES: To close pricing gap with VW brand; remain competitive in Europe's crossover segment. Peugeot will rely largely on its existing products for a couple of years so how will you counter the threat of losing sales to compact crossovers such as the new Renault Kadjar? I would say this is the normal course of business. Competitors launch their models and you have to show advantages. We really have a big advantage in terms of quality and there will be new launches of cars that are inferior in quality to our 3008, for example. So it’s really something we can show to Peugeot customers. They just have to compare to seek the advantages our models offer. The new-generation 3008 will likely be the next all-new Peugeot. Will you make it more like an SUV? The structure of the crossover/SUV segment is clear. The segment is less sedan-centric and more SUV-like. To achieve worldwide success, you clearly need to offer models that are more SUV-like. The 3008 we are launching in China is more like an SUV than the current 3008 is in Europe, which is a pure crossover. But clearly the next-generation 3008 will be a real SUV. We will also add everything that the customer wants in terms of conception, equipment, interior design, etc. There will be plenty of surprises. What powertrain design will you likely adopt for cars that offer ultra-low fuel consumption of less than 2 liters per 100km? Depending on the regulations in place in the various markets, we will need to develop gasoline, diesel, plug-in hybrids and electric cars. And we are. We may offer new electric cars and plug-in hybrids by the end of the decade. But for us today, electric cars and plug-in hybrids are not very popular. There might be other solutions we can also adopt for hybrid powertrains. We see that is still a sector with a lot of new ideas from competitors. There are many interesting new technologies, but everything is evolving.